By the rivers of Babylon we sat and wept when we remembered Zion. May my tongue cling to the roof of my mouth if I do not remember you, if I do not consider Jerusalem my highest joy. Daughter Babylon, doomed to destruction, happy is the one who repays you according to what you have done to us. 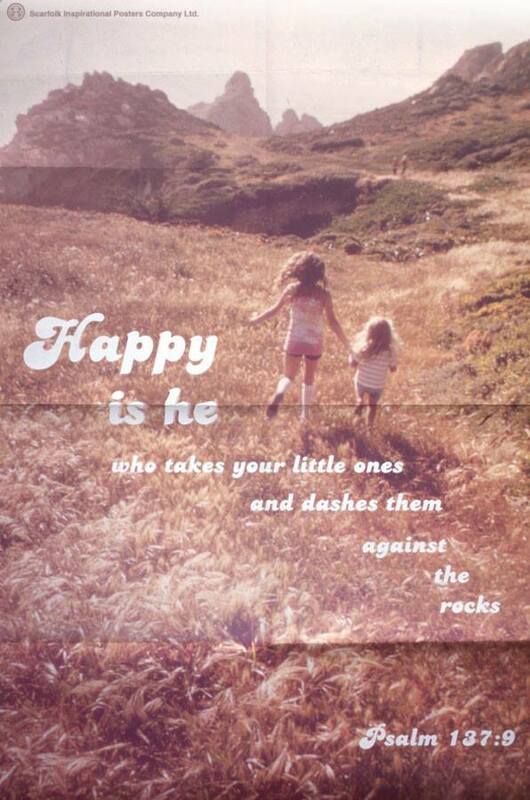 Happy is the one who seizes your infants and dashes them against the rocks. The last two verses are always jarring – rather like the third stanza of “In Flanders Fields” – but otherwise this Psalm succinctly and beautifully expresses Jewish sadness over their enslavement and exile (although I’m sure that to scholars of the period, who are better versed in theories of exactly who composed it and when, the story is more complicated). Although I insist that primary sources come from a particular time and place, I can’t resist noting that some historical episodes become tropes, through which subsequent generations interpret their own experience. (The inspiration that Moses had for African-American slaves is a prime example.) The Babylonian Captivity comprehends the themes of both slavery and exile, thus did people in the fourteenth century speak of the “Babylonian Captivity of the Papacy” when it was located at Avignon between 1309 and 1377, or did Martin Luther compose his tract On the Babylonian Captivity of the Church (1520), asserting that the Papacy itself held the true church in captivity. Closer to home, the trope of the Babylonian Captivity has resonance with Afro-Caribbeans for obvious reasons, hence the Melodians’ rendition of Psalm 137, later done by Boney M. And, of course, “Babylon” retained its relevance for the Jews themselves, following the diaspora, as a symbol of exile from their homeland. This entry was posted in African-American History, Biblical History, Church History, Judaism, Middle Ages, Primary Sources, Reformation by jgood. Bookmark the permalink.